I have to admit that I had very little interest in Reconstruction before reading this book. I completely expected not to enjoy reading this and thought that it would feel more like a chore than anything resembling the joys of reading and learning. On the contrary, however, Foner’s account is an extremely lucid, approachable, informative, and interesting history of what has turned out to be a fascinating period in the history of the United States. Particularly interesting to me was “watching” the shaping of elements that still define much of modern America, such as the black church, and/or that would lead to important events later on, such as the disenfranchisement of black voters and the onset of segregation, events which would culminate in and lead to the fight for civil rights just a little less than a hundred years later. Foner, as I learned in his book, was certainly right in labeling Reconstruction as “America’s unfinished revolution,” as it is a struggle for the United States to simultaneously overcome and come to terms with its past that continues even today, 150 years later. I highly recommend this book to anyone interested in discovering the roots of the United States as it is today. I promise that you will not be disappointed. The hatred of the Jews as a people and of their religion, culture, and, later, even their blood, has been a nearly ubiquitous force throughout the history of Western Civilization. This paper will trace the evolution of this hatred from its beginning in the first contacts between the Greeks and the Jews in the fourth century BCE through to the modern day, attempting to both follow its developments and discover its roots. Although this hatred of the Jews is often described as “Antisemitism” regardless of which historical period is being referred to, this paper will attempt to use more precise terminology. The application of a term like “Antisemitism,” which refers to the hatred of those who fall in the Semitic racial category, to earlier cultures which carried no such notions is at best a misleading anachronism. In the interest of avoiding such inaccuracies, this paper will instead refer to three separate but related phenomena: anti-Hebraism, anti-Judaism, and, following these, Antisemitism. Similarly to the misapplication of the word “Antisemitism” to earlier periods than those in which such a term is meaningful, it is tempting to see the beginning of Anti-Hebraism at a much earlier date than its actual first appearance. The Babylonians and other ancient peoples who warred with or, as the Babylonians did, conquered the people of Israel are often presented as case studies in the early hatred of the Jews. This approach, however, is one that does a disservice to the historical record. While the Babylonians of the sixth century BCE and the other ancient peoples with whom the Israelites fought may have had some “hatred” of their Hebrew or Jewish enemies, the important point here is that this hatred was not a special and unique dislike for a certain people. Neither the Babylonians nor any other ancient enemy of the Jews seems to have regarded the Jews as an exceptional people; they regarded and treated, and this of course means that they hated, the Jews just as they did any other nation against whom they battled. The view which the Jews held of themselves from a very early date as “a special treasure above all the peoples on the face of the earth” who had been “chosen” by God “to be a people for Himself” must be distinguished from the indifference with which their early enemies treated this claim.1 Because they viewed themselves as a chosen people, the Jews tended to see everything that happened to or around them in these terms and as a result of this special place, and this Jewish view of themselves has colored the way that some historians view the actions of other ancient peoples. The Book of Daniel is one outstanding example in this regard. The stories in Daniel take place during the Babylonian Captivity in the sixth century BCE, but the book itself was probably written in the second century BCE, as many as 400 years later. As a result, Daniel, the Jewish hero of the story, is treated as an exceptional figure by the Babylonian king Nebuchadnezzar and Jewish religious practices and taboos are treated as having a special significance even by non-Jews. These stories, however, record far less about the actual Babylonian view of the Jews than they do about the Jewish view of themselves in relation to the nations who became their captors. The Book of Daniel is also reflective of and an important historical account of Jewish feelings during the time period in which it was written, namely, the reign of the Greek Seleucid Empire over the Jews. The Greek distrust and dislike of the Jews was continued among the Romans, who conquered both the Greeks and the Jews in the second and first centuries BCE. While the Romans were willing to accept and make exceptions for unique Jewish beliefs and practices and large numbers of Jews emigrated throughout the Roman Empire, Jews were consistently mocked and looked down upon by Romans, who saw practices like circumcision as barbaric and the exclusive Jewish monotheism as potentially seditious.3 According to Peter Garnsey and Richard Saller, “from the Roman point of view, the Jews proved themselves congenitally incapable of either cooperating with the Roman provincial authorities … or coexisting peaceably with the Greeks.”4 The defining feature of this period, which can be most accurately referred to as Anti-Hebraic, was an opposition to and a dislike of the numerous unique aspects of Jewish culture. This negative view of Judaism continued, and was even strengthened in many ways, when the Roman Empire gradually became Christianized beginning in the fourth century CE. When Christians began to assume power in the Roman Empire several centuries later, these ideas about the Jews combined with the popular Roman prejudices to strengthen Roman anti-Hebraic attitudes into what would most appropriately be called Anti-Judaism.6 These anti-Jewish attitudes, a combination of the Greco-Roman prejudices and Christian theological and historical disagreements, became the predominant view of Judaism throughout Europe for many centuries. Medieval Christians came to see the Jews as “graceless, blaspheming rebels who had long ago closed their eyes to the light of the Gospel, deicides and ‘Christ-killers’ … whose very survival testified either to the Wandering Jew’s well-deserved homelessness or to the Christian charity of those who tolerated them in their midst.”7 Because of their rejection of Jesus as the Messiah, a point which seemed patently obvious to Christian interpreters of the Old Testament who juxtaposed its prophecies with the life of Christ, the Jews were seen as being blind to apparent truth and possibly even in active rebellion against it. Just as in earlier times under the pagan Greeks and Romans, the Jews, due to their rejection of what others saw as the obvious as well as the insular nature of their communities, were often viewed as dangerous and as potential sources of insurrection. Early apparitions of this way of viewing the Jews by Christians seem rather more like commonsense than the bigotry they are often portrayed as by some modern historians. As Angelos Chaniotis points out, for example, “if the early Christian fathers, like John Chrysostom and Ephraim the Syrian, never tired of warning their Christian flock not to attend the synagogue, it is because many Christians did.”8 Although the split between the Church and the synagogue had been a messy one with hard feelings on both sides, many Christians, especially the very large group who converted from Judaism, maintained close contacts with Judaism and Jews. At the time, about 400 CE, when John Chrysostom delivered his vociferous sermons against the Judaizers, a group of people who tried to practice both Judaism and Christianity, one could find a small but not insignificant group who attended both the Paschal Feast in the local Christian church and the Passover at the local synagogue. 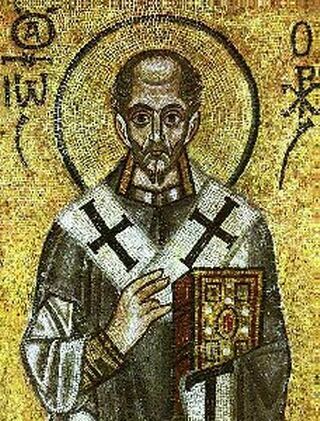 The warnings of such early Christian leaders as John Chrysostom and Ephraim the Syrian were warnings against a very real threat to the Christian Church. Later manifestations of Christian Anti-Judaism, however, often crossed the line into the absurd and bizarre. In 1144, in France, for instance, the accusation was leveled that Jews kidnapped Christian infants and used their blood in the matzoh they consumed as part of the celebration of Passover.9 This strange rumor continued to circulate throughout the Middle Ages and continues to have currency in some places in the Muslim world to this day. Interestingly, this accusation made by Christians against Jews in the High Middle Ages is nearly the same rumor which had spread among pagan Romans regarding early Christians in the first through third centuries. In their writings, Justin Martyr, Tertullian, Origen, and many other early Christian authors of that period address the charge made against them by Romans that they kidnapped Roman babies and used their flesh and blood as the “flesh” and “blood” consumed in the Eucharist. It is notable in all of this that none of these prejudices or disagreements revolve around Judaism or Jews as a race or ethnicity, but as a specific religious group which one can join and leave by changing belief and custom. This began to change, however, in the early modern period. One element of the Reconquista in Spain was the forced conversion or expulsion of the Jewish population.10 When given the option of converting to Christianity or leaving, many Spanish Jews chose to convert. These conversos, as they were called, came to be viewed with a great deal of envy and suspicion by their Christian neighbors. Many suspected that, because they had converted under duress, their conversion had only been affected for appearances and that they secretly continued to practice Judaism. In addition, many whose families had been Christians for centuries viewed with envy the children and grandchildren of conversos who were able to attain important places in both secular government and in the the Church, including places as governors, mayors, and bishops. As a result, the name of converso came to be applied, however improperly, even to those whose grandparents had converted to Christianity and the stigma of sedition attributed to the Jews continued to be attached to these conversos even after generations as Christians. What had been a difference in religion was coming to be viewed as a difference in race. With the era of the Enlightenment in the seventeenth through nineteenth centuries, Europeans came to focus more attention and importance on science than on religion. Whereas the emphasis of the Middle Ages had been a primarily religious emphasis, which the denizens of the Enlightenment saw as superstitious, the emphasis of the Enlightenment was one of science and rationality. Rather than actually shucking superstition, however, many instead simply adopted a new set of superstitions or rephrased old superstitions in the new, more acceptable terminology. This can be seen especially in the rise of Antisemitism from Anti-Judaism, as constructed by people like Wilhelm Marr. According to Karl A. Schleunes, Marr was among the first of those who “assigned to Jews the attributes of a race” and was the first, in 1873, to use the term “anti-Semitism” to describe this position.11 While an intellectual living in the wake of the Enlightenment could not take religious differences seriously, or, at least, as seriously as they had been taken previously, he could take supposedly scientific ideas like race seriously; Judaism, then, became no longer a religion, but a race, and all of the same superstitions and conspiracies which had formerly surrounded the Jewish religion were transferred to the new Jewish race. This view became extremely popular in spite of the obvious historical difficulty: many Jews were the descendents of people who converted to Judaism in the ancient and Medieval world and many non-Jews were the descendents of Jews who had converted to Christianity or Islam. The culmination and most extreme outburst of modern Antisemitism was the Holocaust under the Nazi Party in Germany in 1933-1945. One of the greatest ironies of the Nazi obsession with race is that they, while taking up this “scientific” view on Judaism as a race, re-translated it into religious terms. For the Nazis, race became a religious concept. As one Nazi ideologist, Arthur Rosenberg, wrote in his The Myth of the 20th Century: “A new faith is awakening today: The faith that blood will defend the divine essence of man; the faith, supported by pure science, that Nordic blood embodies the new mystery which will supplant the outworn sacrament.”12 The Greek incredulity at what they saw as the bizarre customs of the Jews, the Roman suspicions toward Jewish exclusivity, and the Christian theological and historical differences with Judaism, all of which had been matters of cultural and religious opposition, became, for the Nazis, attributed to an insidiousness inherent in Jewish blood. This was contrasted with the inherent superiority and goodness of pure Aryan blood, as difficult as such a thing might be to find. The Nazis took up a heritage of Anti-Judaism and a pseudoscience of race to create their own unique racial religiosity which lay at the heart of their entire philosophy and practice. Although Cahill is here referring specifically to Christian Anti-Judaism, his words apply equally as well to the pre-Christian Anti-Hebraic Greeks and Romans as well as the later Antisemitic Christians, atheists, and others. 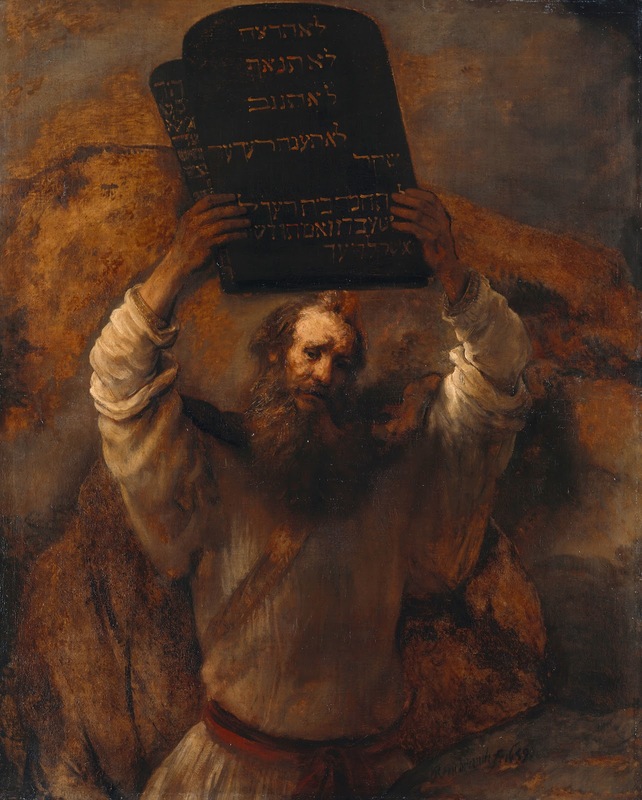 What seems to be at the center of all manifestations of hatred toward the Jews is really a hatred of their God – the God of Abraham, Isaac, and Jacob – and of his imposing ethical demands on human beings. 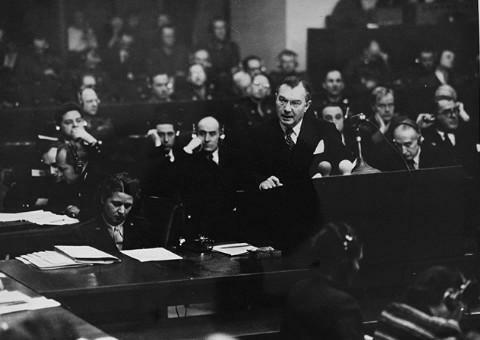 In his closing address before the International Military Tribunal at Nuremberg, Germany, on 26 July 1946, Justice Robert H. Jackson, prosecuting attorney for the Americans, eloquently encapsulated the psychological and philosophical motivation for and effects of the Nazi’s rabid Antisemitism when he said that they had tried to “renounce the Hebraic heritage in the civilization of which Germany was once a part” and in so doing, they had “repudiated the Hellenic influence as well.”17 In their fanatical hatred of all things Jewish, a hatred of the Jewish God and of his demands which led them to a hatred of his people, they had attempted to strip Christianity of all of its Jewish heritage, they had decimated the Christian churches, and they had murdered as many as 13 million people, including six million Jews. In so doing, the Germans had renounced not only the Hebrew legacy of faith and the idea of God which makes up such a great part of Western Civilization but the Greek legacy of reason which consists of the other half. As Donald Kagan has eloquently put it, “if both religion and reason are removed, all that remains is will and power, where the only law is the law of tooth and claw.”18 In the end, their Antisemitism had led them to renounce and attempt to destroy Western Civilization entirely. 1 Deuteronomy 7:8, New King James Version. 2 Martin Goodman, Rome and Jerusalem: The Clash of Ancient Civilization (New York: Vintage Books, 2007), 49. 4 Peter Garnsey and Richard Saller, The Roman Empire: Economy, Society and Culture(Berkeley: University of California Press, 1987), 170. 5 Calvin J. Roetzel, The World That Shaped the New Testament: Revised Edition(Louisville: Westminster John Knox Press, 2002), 36. 7 Gabriel Sivan, The Bible and Civilization (New York: Quadrangle/The New York Times Book Co., 1973), 46. 8 Angelos Chaniotis, “Godfearers in the City of Love,” Biblical Archeology Review, Vol. 36, No. 3 (May/June 2010): 32-44. 9 S. Zeitlin, “The Blood Accusation,” Vigiliae Christianae, Vol. 50, No. 2 (1996): 117-124. 10 David M. Gitlitz, Conversos and the Spanish Inquisition, ed. David Rabinovitch, PBS.org, accessed 19 May 2012, http://www.pbs.org/inquisition/pdf/ConversosandtheSpanishInquisition.pdf. 11 Karl A. Schleunes, The Twisted Road to Auschwitz: Nazi Policy Toward German Jews, 1933-1939 (Urbana and Chicago: University of Illinois Press, 1990), 24-5. 12 Arthur Rosenberg, Der Mythos des 20. Jahrhunderts (Munich, 1931), 114. Quoted in Schleuenes, 52. 13 Thomas Cahill, The Gifts of the Jews: How a Tribe of Desert Nomads Changed the Way Everyone Thinks and Feels (New York: Anchor Books, 1999), 152. 16 Adolph Hitler, speech to Nazi leadership in 1939. Quoted in William L. Shirer, Rise and Fall of the Third Reich: A History of Nazi Germany(New York: Simon & Schuster, 1990), 532. 17 Robert H. Jackson, Closing Statement at the International Military Tribunal in Case No. 1, The United States of America, the French Republic, the United Kingdom of Great Britain and Northern Ireland, and the Union of Soviet Socialist Republics v. Hermann Wilhelm Göring, et al. 18 Donald Kagan, “Introduction to Ancient Greek History: Lecture 1 Transcript,” Open Yale Courses. (6 September 2007) http://oyc.yale.edu/classics/introduction-to-ancient-greek-history/content/transcripts/transcript1-introduction (Accessed 20 May 2012). Cahill, Thomas. The Gifts of the Jews: How a Tribe of Desert Nomads Changed the Way Everyone Thinks and Feels. New York: Anchor Books, 1999. Chaniotis, Angelos. “Godfearers in the City of Love.” Biblical Archeology Review. Vol. 36, No. 3 (May/June 2010): 32-44. Garnsey, Peter and Richard Saller. The Roman Empire: Economy, Society and Culture. Berkeley: University of California Press, 1987. Gitlitz, David M. Conversos and the Spanish Inquisition. Ed. David Rabinovitch. PBS.org. Accessed 14 April 2012. http://www.pbs.org/inquisition/pdf/ConversosandtheSpanishInquisition.pdf. Goodman, Martin. Rome and Jerusalem: The Clash of Ancient Civilization. New York: Vintage Books, 2007. Jackson, Robert H. Closing Statement at the International Military Tribunal in Case No. 1, The United States of America, the French Republic, the United Kingdom of Great Britain and Northern Ireland, and the Union of Soviet Socialist Republics v. Hermann Wilhelm Göring, et al. Kagan, Donald. “Introduction to Ancient Greek History: Lecture 1 Transcript.” Open Yale Courses. (6 September 2007) http://oyc.yale.edu/classics/introduction-to-ancient-greek-history/content/transcripts/transcript1-introduction (Accessed 20 May 2012). Roetzel, Calvin J. The World That Shaped the New Testament: Revised Edition. Louisville: Westminster John Knox Press, 2002. Rosenberg, Arthur. Der Mythos des 20. Jahrhunderts. Munich, 1931. Schleunes, Karl A. 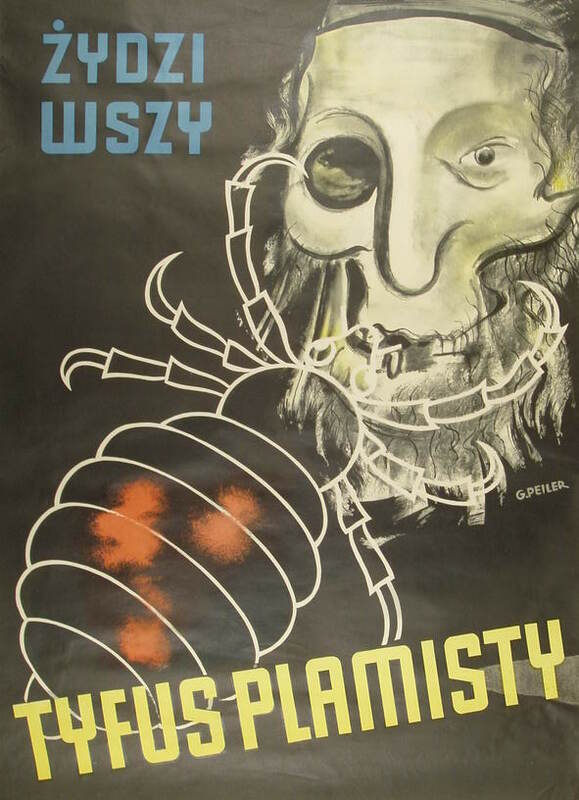 The Twisted Road to Auschwitz: Nazi Policy Toward German Jews, 1933-1939. Urbana and Chicago: University of Illinois Press, 1990. Shirer, William L. Rise and Fall of the Third Reich: A History of Nazi Germany. New York: Simon & Schuster, 1990. Sivan, Gabriel. The Bible and Civilization. New York: Quadrangle/The New York Times Book Co., 1973.